The research, led by Imperial College London, highlights previously unknown skin defences – and could open avenues for developing new skin cancer treatments. The early-stage study, published in the journal Nature Immunology, may also provide clues into why allergies are on the rise. Estimates suggest 44 per cent of Britons now suffer from at least one allergy – but the reasons behind the increase are unknown. The new research focuses on a type of antibody called Immunoglobulin E, or IgE. This protein, which is part of the immune system, triggers allergic reactions by mistakenly recognising a harmless substance – such as peanuts – as a danger. A full-blown attack is launched by the body, under instruction from IgE, resulting in skin rashes, and swelling of face, mouth – and in severe cases – the airway. However, despite the actions of IgE having such serious consequences in the body, scientists are still puzzled by its original role – and whether it serves any useful purpose. 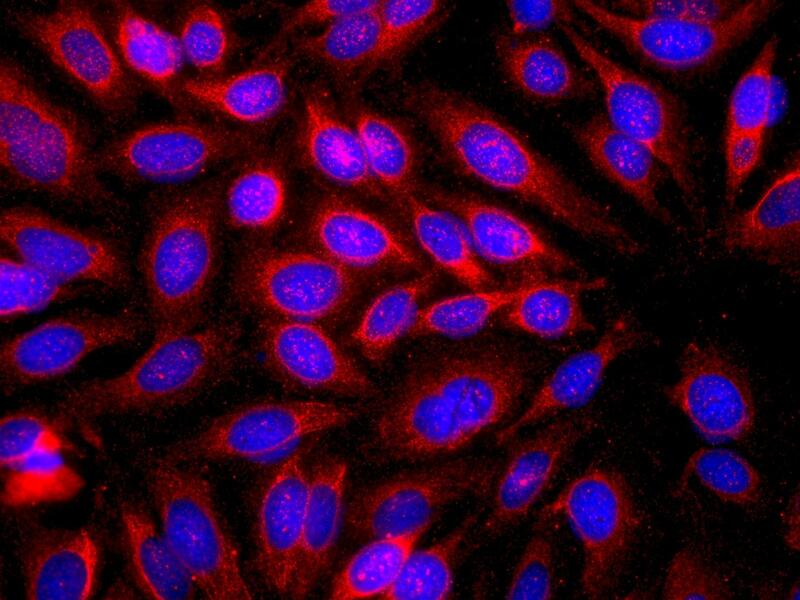 The latest research suggests the antibody may have a crucial role in defending against the damage caused by environmental chemicals – and thereby protects against cancer. The IgE (triggered by the skin exposure to toxic agents) accumulates at the skin site, and prevents damaged cells from turning into cancerous tumours. Dr Jessica Strid, lead author of the study from the Department of Medicine at Imperial, explained: "IgE must have some important role in the body – but at the moment scientists are still unclear what it is. We used to think it protects us against parasites – such as intestinal worms – and the lack of worm infections is causing the allergy rise. However, after previous work suggested the body can still fight parasites without IgE, we don't now believe this to be the only purpose. "Our new work suggests IgE could protect against the damage caused by skin exposure to tumour-promoting chemicals or UV irradiation – and help fight against skin cancer." They also studied skin tumours from 12 patients with squamous cell carcinoma – the second most common type of skin cancer. Dr Strid added: "This is just the beginning of the story – our next step is to find out how exactly IgE may stop skin cells turning cancerous, and to see if we can somehow manipulate the allergic response to either protect against, or treat skin cancer." "Our work raises a lot of questions – and we now have to set about answering them. But the initial results support the so-called Toxin Hypothesis, which suggests that chemicals in the environment, such as those in air pollution, arising from industrial combustion and car emissions, as well as from tobacco smoke, could damage the skin and cause a rise in IgE. The theory suggests this rise in IgE may play a role in the alarming increase in allergies over the last decades." She explained IgE may have evolved to kick into action when the skin touched something toxic. "It may be that the IgE would trigger a rash, or a stronger unpleasant response, when the skin contacts something potentially poisonous. This would send a clear message to the body saying this is harmful – don't touch that again." The work was funded by the Wellcome Trust.